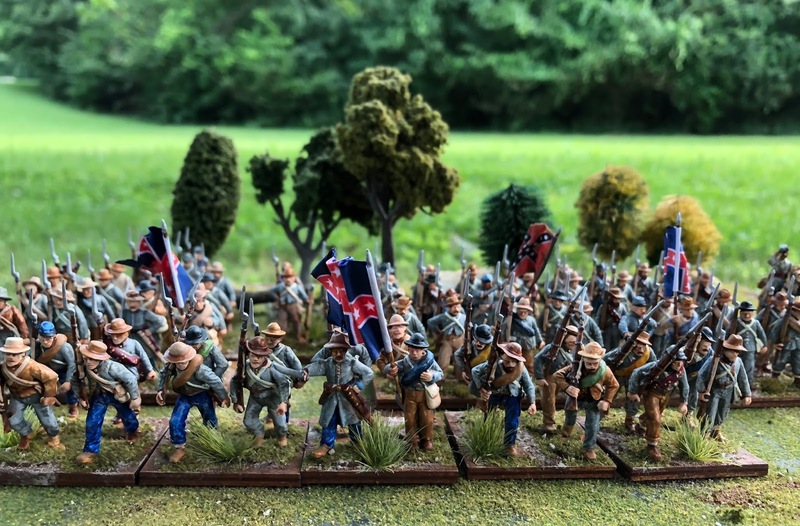 I recently painted a bunch of figures for my 'Stones River" game that I ran at Nashcon. 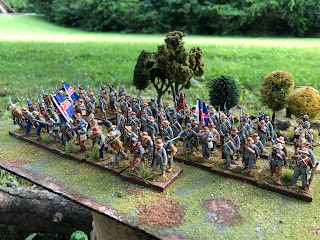 I already had lots of Federals from my "Vicksburg" game and now it was the Rebs turn to be painted en masse! 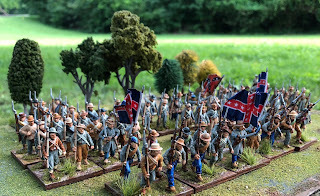 The rebs were plastic Perry's which I found paint quickly and the Federals are from Raven Banner Games. 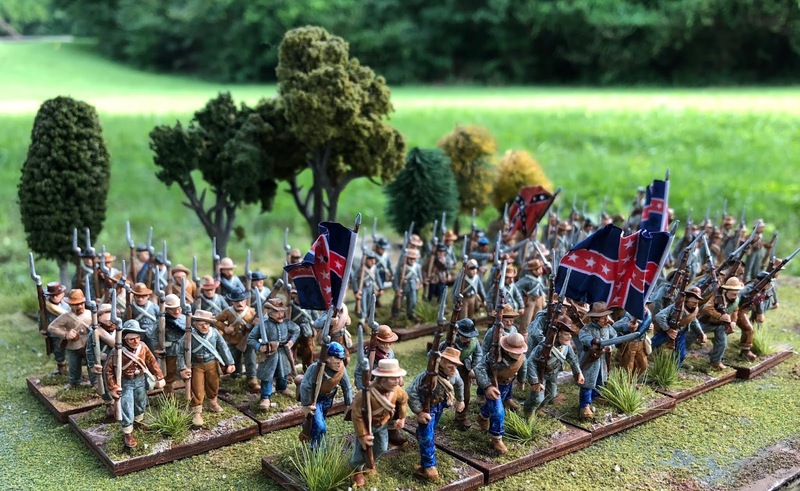 Plastic Perry's with Polk flags for 1862 in TN. 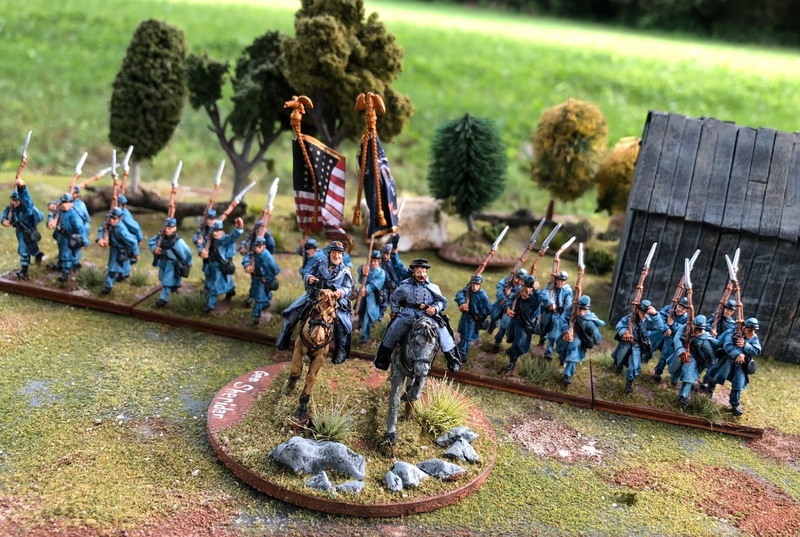 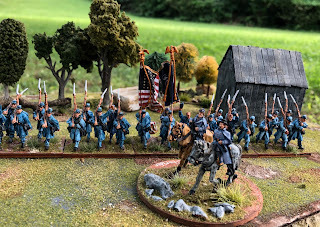 Federals in great coats and Gen. Sheridan figure from Raven Banner games. 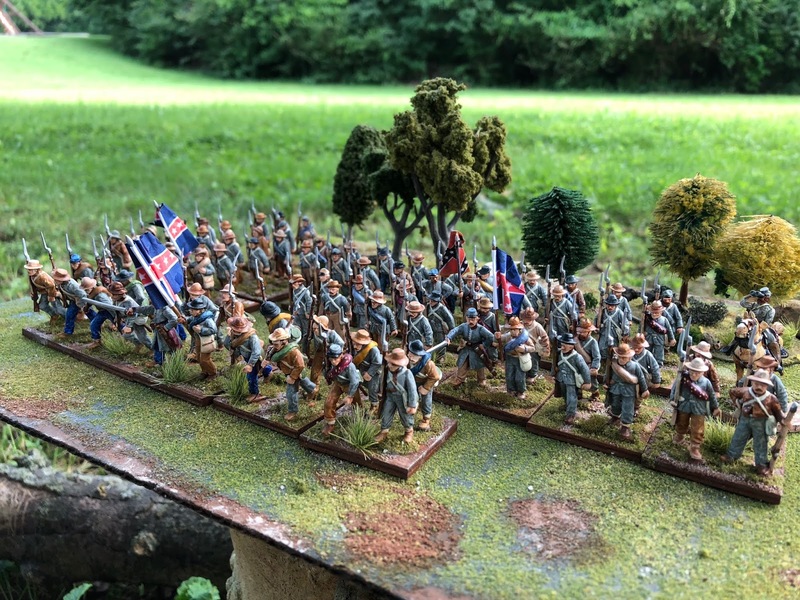 Lovely units Cory, great job Sir.